This Tuesday’s letter is Y for Yesterday. My old bike is about 15 years old. It probably only has about 50 miles on it. It is a 12 speed. I never felt safe or comfortable riding it. I figured it was because of the gears. I couldn’t quite get the hang of the shifting mechanism. I thought that I might prefer a plain old fashioned cruiser with pedal brakes. We went over to the island bike shop to see what they had. We showed Tom, the owner, a picture of my old bike. I explained that even though it was 15 years old, it was basically brand new because I hardly ever rode it. He told me that my old bike was way too big for me. Apparently, when you are seated on a bike your feet should touch the ground. Mine didn’t. He pointed out a couple of bikes that I might like and that would probably suit me better. 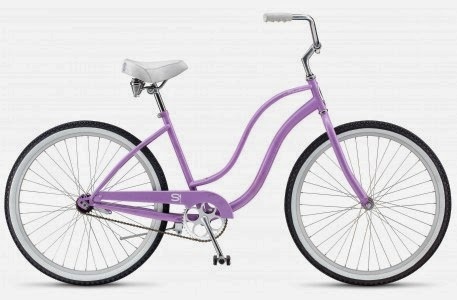 The first one was a Schwinn S1 Womens. I immediately felt steadier on it. My feet touched the ground and there was no shifting of gears to worry about. The next one I tested was a Pure S Lowstep by Trek. It was easier to ride than the Schwinn. It was also twice the price. The bike shop owner’s girlfriend, Pat, recommended the Trek over the Schwinn. She advised that if I felt comfortable on the bike, it would be a more enjoyable experience. She reminded me that was the reason I rarely rode my old bike. So I chose the Pure S. I had a choice of bright green or purple. I picked the purple one. We were up early because Kelly and Sue were coming to clean our house. They come every three weeks. I love Kelly and Sue. Part of my daily morning routine is to take pictures of the start of the day. 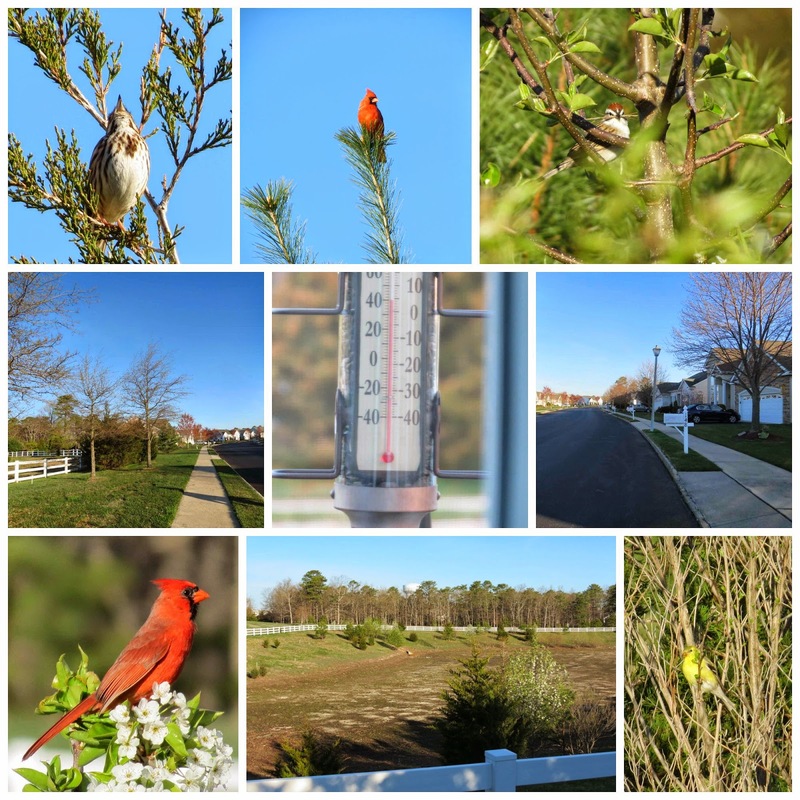 I take shots of the outdoor thermometer, a view of the street in front of our house, the treed area across the way and any birds I can capture. for breakfast. 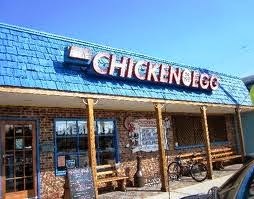 Since it is pre-season, the Chegg (as it is commonly known) was empty. This will not be the case after Memorial Day. In the afternoon we took our bikes (my new purple one) over to the island to ride. 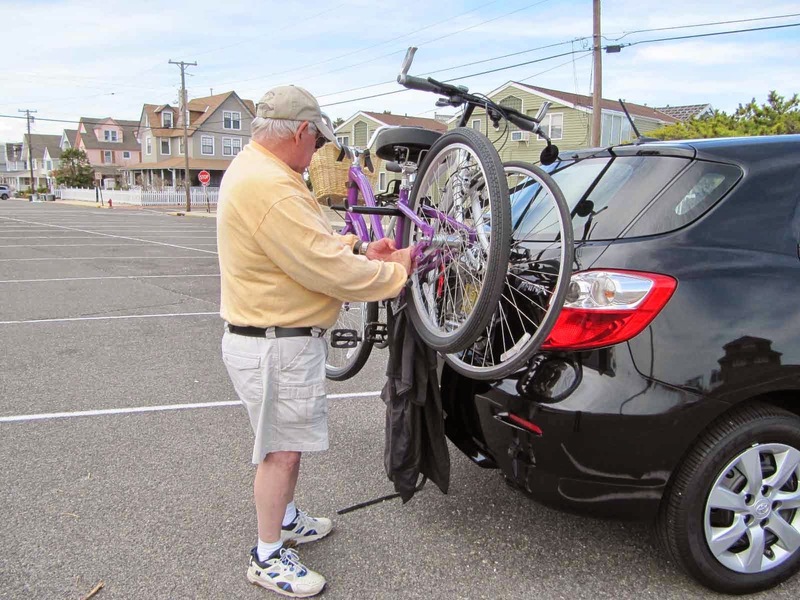 It took about 15 minutes to put the bikes on the bike rack, 20 minutes to drive over to the island and then another 5 minutes to take the bikes off the bike rack. 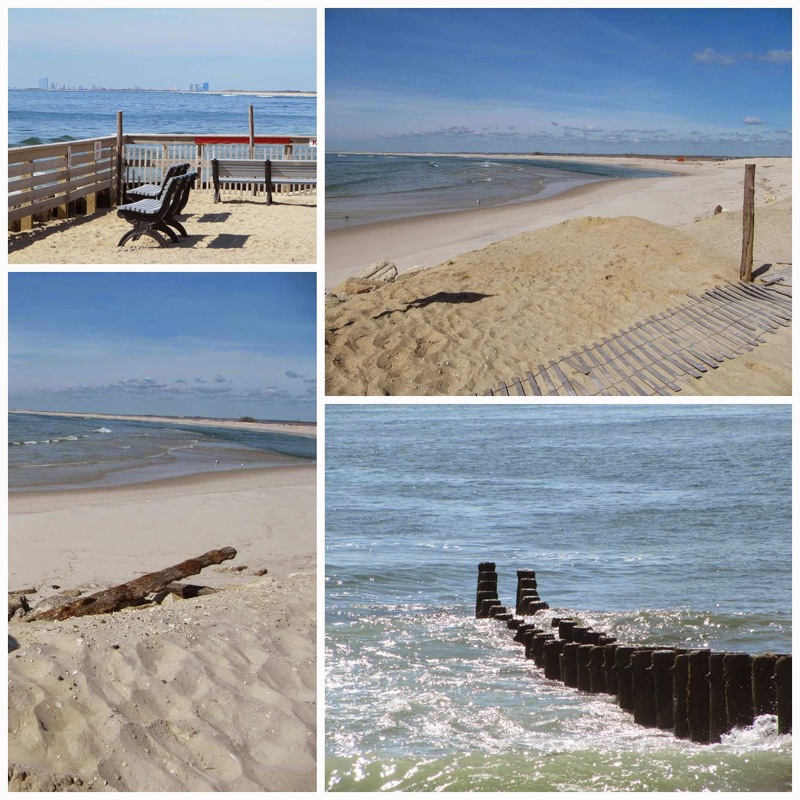 Because it has been awhile since either one of us has ridden a bike and because we are a few years older, our bike ride was a short one - about 1-3/4 miles which included the stop we made to take beach pictures. Funny, the prep time took longer than the actual bike time. But I have to say Pat was right. 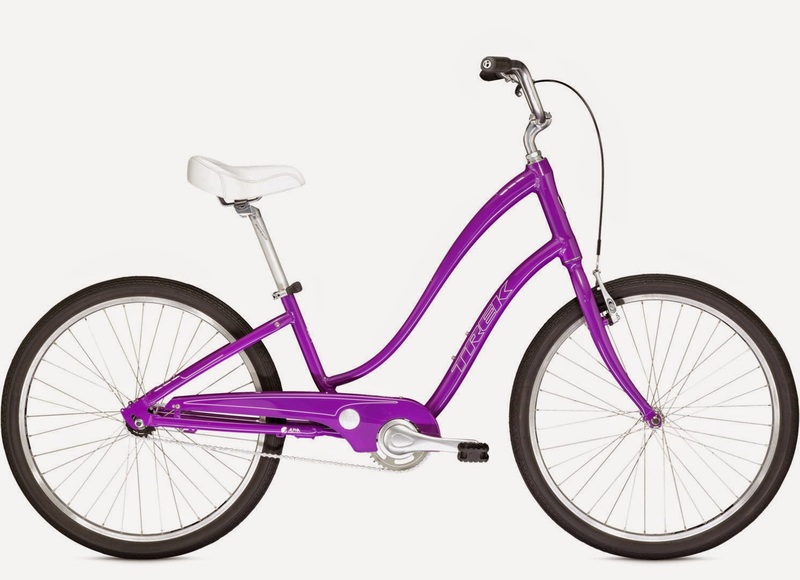 Although it was brief, I enjoyed my time on my new purple bike. So that’s what we did yesterday. It wasn’t very exciting, but I bet if I hadn’t written this post about yesterday, and if you asked me today what I did yesterday, I probably wouldn’t have been able to tell you. P.S. 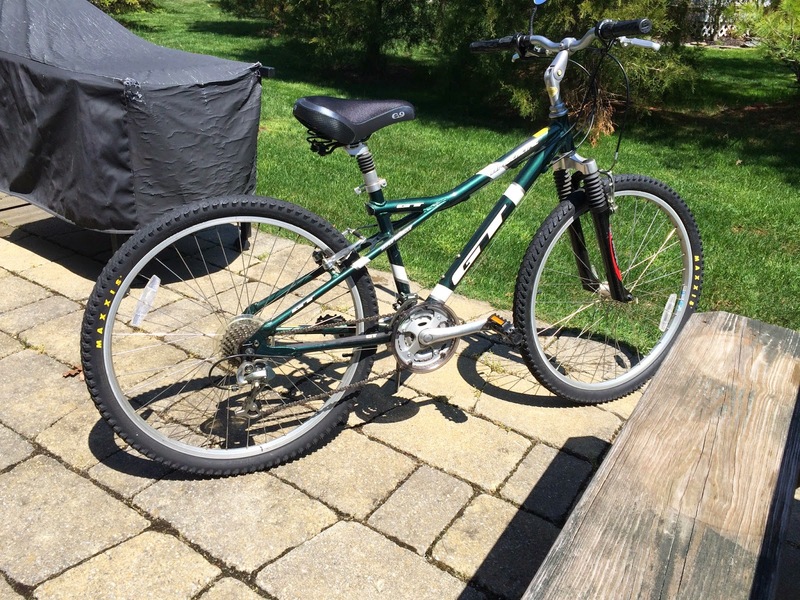 Kelly, who is about 5” taller than me and 20 years younger, took my old bike. I’m sure she will enjoy it. 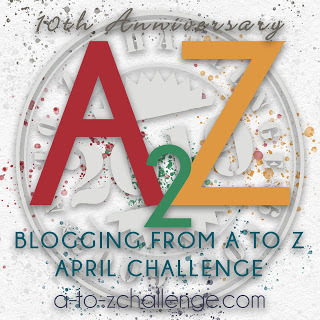 Find more Y’s written by the more than 2,000 bloggers participating in the 2014 A-Z April Challenge. I like your new bike! I'm sure you'll bike many a mile on it! What pretty area you live by! That would be fun to ride bikes there! I also like the name of the restaurant; I'd have to eat there I think if I was visiting your area! Well Betty, If you are ever in the area, we’ll have breakfast at the Chegg! I used to ride bikes when I was younger. I always insisted on the saddle being as low as possible so I could rest both feet on the ground. I wish it was a bit safer on the roads here. Cycling is too dangerous where I live. I like your new bike. It is like something I would choose. The other thing I must have is a safe place to ride. Where we will be riding has marked bike lanes on the road. i have a bike with gears. I ride the bike, but never change the gears. I don't ride uphill...I think you have to change gears for that! Fortunately it's pretty flat here. Your new bike is cute. We don't have a bike rack. We have to take the pickup if we want to take the bikes. My next car will have a bike rack and a roof rack for my kayak. It’s so much more relaxing to not have to worry about shifting. But, uphill is a quite workout using a bike without gears. I haven't ridden a bike in many years. Now I sort of long to try it. Must get a bike first. I like the purple one. I bet once you get into using it more, you'll end up loving it. I already like the bike. Even though there are no gears, it is a fast bike. I hadn’t ridden in years, but like they say, it’s something you never forget how to do. Ok, a couple of things….I am planning to write a post about "yesterday" too. As I made dinner, I tried in vain to remember what I did yesterday! Maybe the thought will flow when I begin typing. Now, about the bike, I have an new old bike too! I also didn't master the shifting. I'm going to consider a cruiser like you got. I'd probably go for the cheaper one though, considering I spent a bundle on my existing bike and never rode it! I love your photos, and what a great idea to take a picture of the thermometer and then the surroundings. I especially like the bird photos. Thank you for the nice compliment on my photos. I read your “yesterday” post. It was good. I highly recommend a bike trade in. The cheaper one is still a good choice. I find the subtle differences each day brings quite interesting. Taking the photos has made me more aware of my surroundings. I have your old bike in a Trek version. It's probably ten years old, and I ride it a lot. I hope to put many miles on my new bike. Today, winter has made a u-turn and is back in town. It’s cold, and grim. Supposed to be that way for the next several days. Excuses, excuses.